2016.3.31 JAXA PCG#10 launch in Progress space cargo from Baikonur, Kazakhstan. 2015.9.16 Oral and poster presentations in ISPS-6 in Kyoto, Japan. 2015.9.14 Crystal recovery from JAXA PCG#9. 2015.7.06 JAXA PCG#9 launch in Soyuz space ship from Baikonur, Kazakhstan. 2015.9.16 Oral presentation in ISPS-6. 2015.7.16 JAXA PCG#9 launch in Soyuz space ship from Baikonur, Kazakhstan. 2014.9.26 JAXA PCG#8 launch in Soyuz space ship from Baikonur, Kazakhstan. 2013.3.29 Crystallization set-up for JAXA PCG#6 experiment in Nara, Japan. JAXA PCG#6 is a part of "High Quality Protein Crystallization Research(HQPC)" conducted by JAXA. 2012.9.23 Oral presentation in 14th International Conference on the Crystallization of Biological Macromolecules (ICCBM14) "Numerical model of the protein crystal growth in diffusive field such as microgravity environment"
2012.7.12 New information on C-Tube starter kit on the web. "High-resolution protein crystallography in space: from sample preparation to data collection"
2012.6.22 Workshop of "Protein Crystallization in Microgravity Environment for Structural analysis" in the 12th Annual Meeting of the Protein Science Society of Japan was held. Mr. Tanaka (Confocal Science), together with Prof. Nakagawa (Osaka Univ. ), was a organizer of this workshop. 2012.6.4 "Controlling the Diffusive Field to Grow a Higher Quality Protein Crystal in Microgravity" was published publlished in Defect and Diffusion Forum. 2012.6.4. "Numerical analysis of the diffusive field around a growing protein crystal in microgravity" was published publlished in Defect and Diffusion Forum. 2012.5.3~5.4 Crystal recovery for JAXA PCG#5 experiment in Nara, Japan. JAXA PCG#5 is a part of "High Quality Protein Crystallization Research(HQPC)" conducted by JAXA. 2012.3.8～3.9 Crystallization training workshop in the Crystallographic Society of Japan (Japanese) was held. We demonstrated the crystallization setup of the C-tube method (counter-diffusion). 2012.1.9～1.13 Crystallization set-up for JAXA PCG#5 experiment in Nara, Japan. 2011.9.20～9.21 Crystal recovery for JAXA PCG#4 experiment in Nara, Japan. JAXA PCG#4 is a part of "High Quality Protein Crystallization Research (HQPC)" conducted by JAXA. 2011.6.29～7.1 Exhibition in the 10th International BIOEXPO. 2011.6.6～6.9 Crystallization set-up for JAXA PCG#4 experiment in Nara, Japan. 2011.6.1 'High-Quality Protein Crystal Growth of Mouse Lipocalin-Type Prostaglandin D Synthase in Microgravity' was published in Crystal Growth & Design. 2011.1.1 'Improvement in the quality of haematopoietic prostaglandin D synthase crystals in a microgravity environment' was published in Journal of Synchrotron Radiation. 2011.1.1 'Optimization of salt concentration in PEG-based crystallization solutions' was published in Jounral of Synchrotron Radiation. 2010.11.29～11.30 Crystal recovery for JAXA PCG#3 experiment in Nara, Japan. JAXA PCG#3 is a part of "High Quality Protein Crystallization Research (HQPC)" conducted by JAXA. 2010.10.31～11.3 Poster presentation in AsCA2010(The 10th Conference of the Asian Crystallographic Association) in Busan, Korea in collaboration with Japan Aerospace Exploration Agency. 2010.8.24～8.27 Crystallization set-up for JAXA PCG#3 experiment in Nara, Japan. 2010.6.5~6.6 Crystal recovery for JAXA PCG#2 experiment in Nara, Japan. JAXA PCG#2 is a part of "High Quality Protein Crystallization Research (HQPC)" conducted by JAXA. 2010.5.25~5.28 Poster presentation in ISDSB2010 in Orsay, France in collaboration with Japan Aerospace Exploration Agency. "High quality protein crystal growth experiment (JAXA PCG) is inaugurated onboard the Japanese Experiment Module 'Kibo' in the International Space Station", "The applied usage of Gel-Tube method for performing better crystallization: recent topics", and "Improvement of crystal quality of hematopoietic prostaglandin D synthase with novel inhibitors in microgravity environment"
2010.1.16~1.19 Crystallization set-up for JAXA PCG#2 experiment in Nara, Japan. 2009.12.5～12.6　Poster presentation in the Annual Meeting of Crystallographic Society of Japan in Kobe, Japan in collaboration with Japan Aerospace Exploration Agency. "High pressure cryocooling system for X-ray diffraction experiment of protein crystal" and "Growing large protein crystal in microgravity environment"
2009.10.14～10.15　Crystal recovery for JAXA PCG#1 experiment in Nara, Japan. JAXA PCG#1 is a part of "High Quality Protein Crystallization Research (HQPC)" conducted by JAXA. 2009.9.29～10.1　Exhibition of C-Space, C-Platform and C-Tube in Bio Japan 2009 World Business Forum in Yokohama, Japan. 2009.8.7　Confocal Science Inc. has been selected as a service provider/coordinator of the commercial usage of the experimental opportunity of protein crystallization in the International Space Station. 2009.7.8～7.11Crystallization set-up for JAXA PCG#1 experiment in Nara, Japan. 2009.5.20～5.22Poster presentation in The 9th Annual Meeting of the Protein Science Society of Japan in Kumamoto, Japan in collaboration with Dr. Urade in Osaka Bioscience Institute, Maruwa foods and Biosciences Inc., and Japan Aerospace Exploration Agency. "The effect of impurity on the protein crystal growth estimated by an easy measuring of its kinetic coefficient"
2008.10.15～17 Exhibition of C-Space, C-Platform and C-Tube in Bio Japan 2008 World Business Forum in Yokohama, Japan. 2008.8.24 Four poster presentation in IUCr2008 (XXI Congress and General Assembly of the International Union of Crystallography) in Osaka, Japan in collaboration with Dr. Urade in Osaka Bioscience Institue, Professor Nakagawa in Osaka University, Professor Matsushima in Aino University, Japan Aerospace Exploration Agency, Japan Space Forum and Maruwa Foods and Biosciences Inc.
"Protein crystallization under microgravity in JAXA New-GCF project"
"High resolution crystals of human hematopoietic & lipocalin-type prostaglandin D synthases in space"
"Optimization of a salt concentration in a PEG-based crystallization solution by a Gel-Tube method"
"Protein crystallization strategy in microgravity"
2008.6.10～12　The 8th Annual Meeting of the Protein Science Society of Japan in Tokyo, Japan. >Exhibition of C-Tube and C-Platform. Poster presentation "Improved Crystal Quality of Human Haematopoietic and Lipocalin-type Prostaglandin D Synthase under Microgravity"in collaboration with Dr. Urade in Osaka Bioscience Institute and Japan Aerospace Exploration Agency. 2007.11. Poster presentation of C-tube in the Annual Meeting of Crystallographic Society of Japan in collaboration with Japan Aerospace Exploration Agency. 2006.8. We exhibited outsourcing service of protein crystallization in microgravity environment and in terrestrial environment, and our product Gel-Tube GT-R in the exhibition in ICCBM11 from August 16-21, 2006. 2006.7. Delivery of Crystal-Tube GT-R for overseas customers. Crystal-Tube GT-R is an easy and efficient crystallization tools using counter-diffusion technique. Optimized crystallization condition can be found by itself in only one capillary. 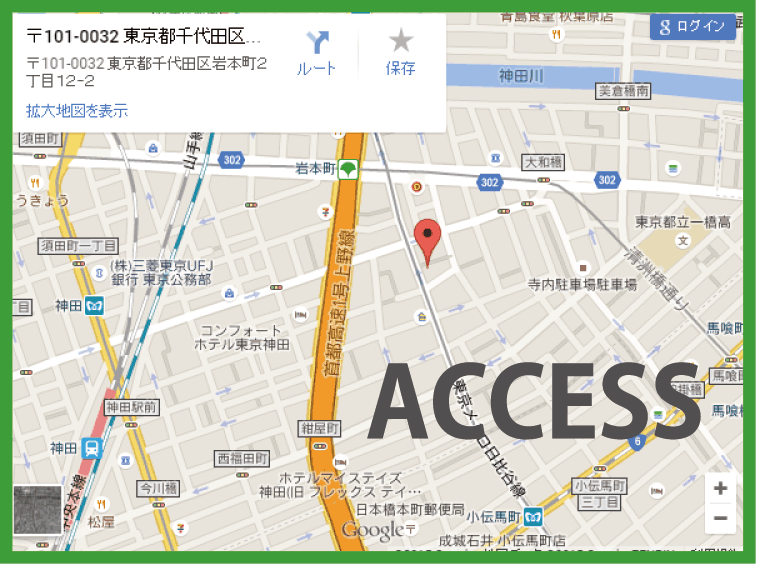 Domestic users for this tool is increasing in Japan. You are welcome to experience crystallization using Crystal Tube GT-R by yourself. 2006.7. 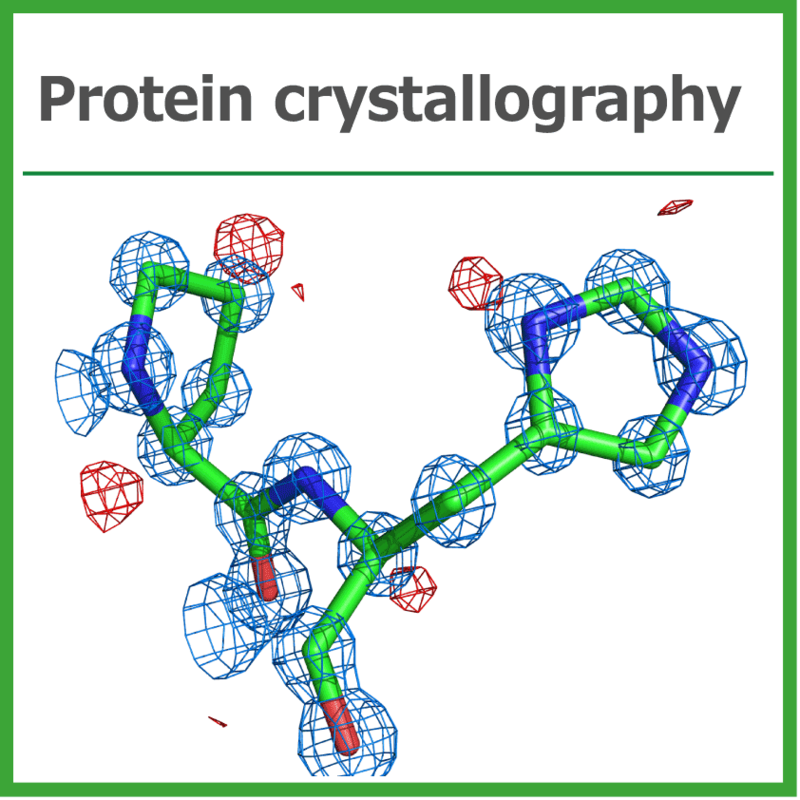 Outsourcing services for protein crystallizationMacromolecular crystallization service for structural analysis, from sample check, crystallization condition optimization, crystallization, to X-ray diffraction data collection, has started. We have much experience of total crystallization experiment supports in Japan Aerospace Exploration Agency's project. We have technical tie-up with Maruwa Foods and Biosciences Inc.